If you’ve popped into our Blackburn kitchen showroom recently you may have seen our new, modern, Hacker kitchen display. Designed and styled by our in-house kitchen design experts, the modern kitchen features many stylish and innovative elements that are a must-have in any designer kitchen. While we don’t have a lot of room to play with in our showroom designs, we wanted to highlight how certain elements of design can create the illusion of space. To give the impression of a larger kitchen we implemented a floating island with mirrors underneath. It is the reflection from these mirrors that create the feeling of space in a tight area. The design proves that even with a more modest sized kitchen, it’s still worth investing in designer style. With our interiors expertise, we can certainly make the most of your limited space. As with all our kitchens, we had to give our newest design the latest in innovative features. 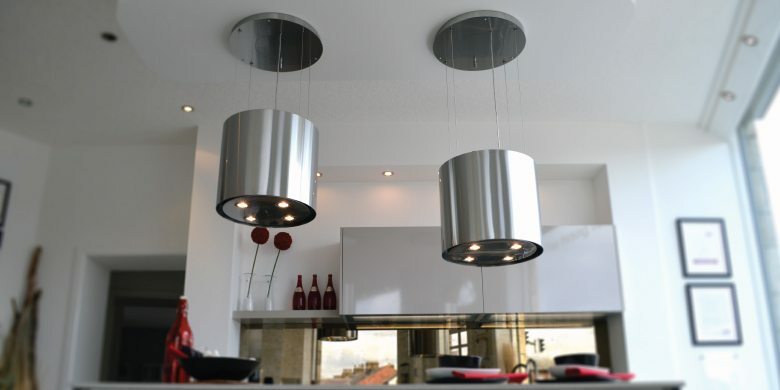 Just some of elements of the design included special sized units, tailored specifically to the kitchen; floating drawers, for modern style; lift up wall units, practical and aesthetically pleasing; and secret lighting – the key to a great kitchen. The new showroom design also features the latest in appliances, with products from Neff as well as a Faber extractor and Blanco sink and taps. 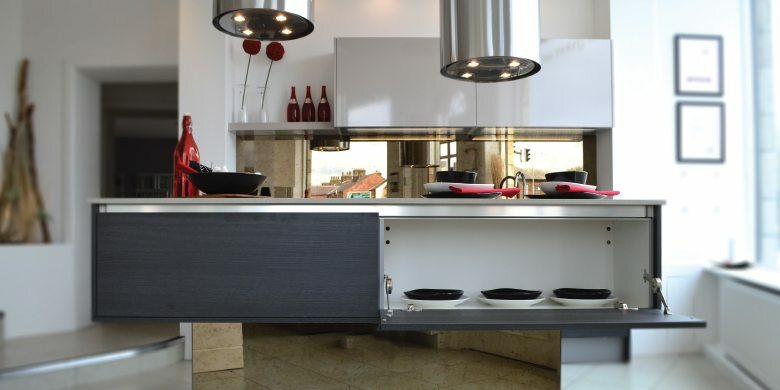 We chose Faber because their cooking hoods reflect our passion for innovation and awe-inspiring designs. They’re the epitome of style and functionality. The sleek Blanco sink and taps also complement the whole modern design of the kitchen, with fine materials and an innovative design. Of course, as important as the features and appliances are the overall feel and look of the kitchen – which comes together with the finish of the worktops and cabinets. For this particular design we chose an Atlanta Terra Oak Wood look with Neo Shiny Cashmere, 16mm laminate worktops and mirrored up stands for that final touch. 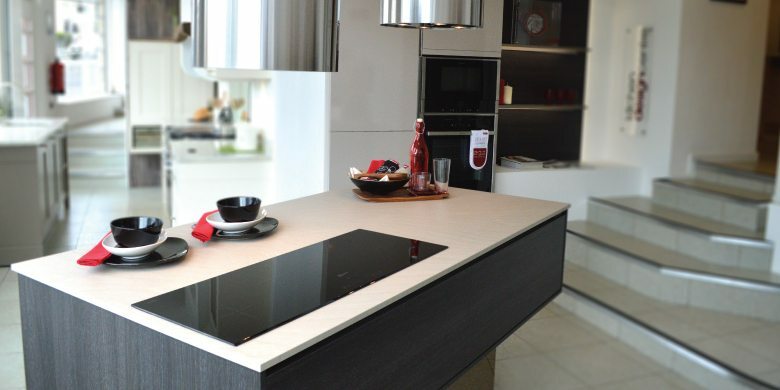 To take a look at the kitchen for yourself, come and visit our Blackburn kitchen showroom. We’ll be more than happy to talk you through the products and materials featured in the kitchen design and discuss how they could work in your own home.